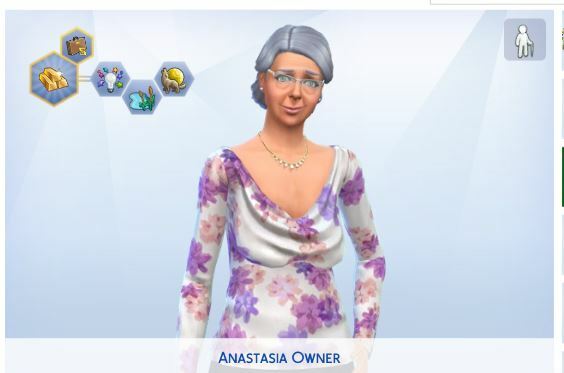 Anastasia is an elder. She loves the outdoors and wants to be left alone. After travelling the whole world with her late husband she now has invested the small heritage he left her into a piece of land and a basic apartmentbuilding with five units. She herself lives in the "penthouse" or what someday may turn into a penthouse. The lower basement she assigned to a superintendent. She loves gardening and will try to raise a few plants on her ground. 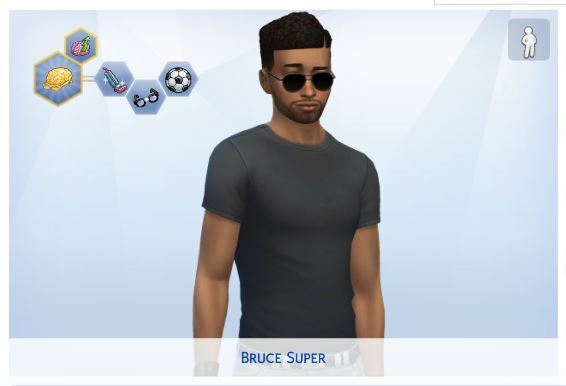 Bruce never expected much of life. He grew up with an addict mother, who died shortly after his twentieth birthday. With literally no money he was lucky to get this job. He doesn't mind too much living in the basement as long as it is clean and his. Finnagan has a secret. No one but the landlady knows about him being different. He was lucky to get a single basement apartment and promised to keep away from trouble. When Anastasia chose her tenants she tried to provide them as good as she could. The vampire got a computer so he cold keep in touch with his kind without inviting them over. Finn himself wants to get a coffin, but with the shared household funds he doesn't see this happen anytime soon. He isn't too keen to talk abut his special needs. 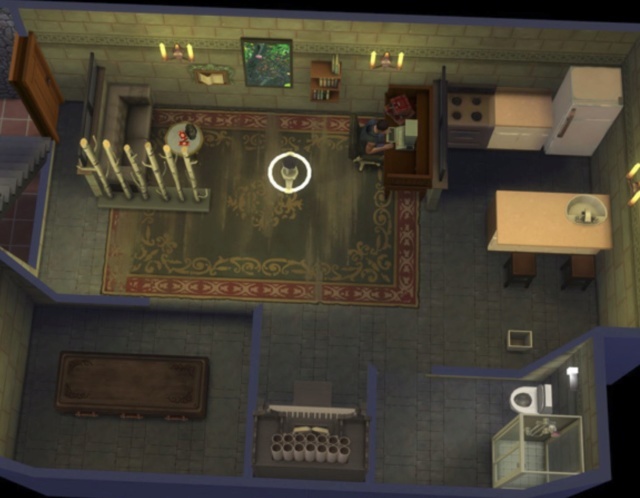 The sisters Godwin live in the second apartment. When Eleonor had the opportunity to attend a school focusing on sports her olden sister Patricia decided she would go with her and look after her teen sister. While Patricia is interested in everything, Eleonor is all about sports and fun. The third apartment though the same size as the others has a separate bedroom for Tarek and his daughter Cheyda. Her mother didn't want to leave their home country and stayed in Anatolia, while Tarek moved here to give his daughter a better education. He himself wants to become a chef. He is thankful for the extra help from their roommate Cosmo. Cosmo is laid back bordering depressive at times. It is good he doesn't live alone. Spirited Cheyda keeps him on his toes. A cook in the house doesn't hurt either, Cosmo tends to forget eating when he is lost in his art. Your starter apartment complex looks great, it will be so much fun to see how it changes. 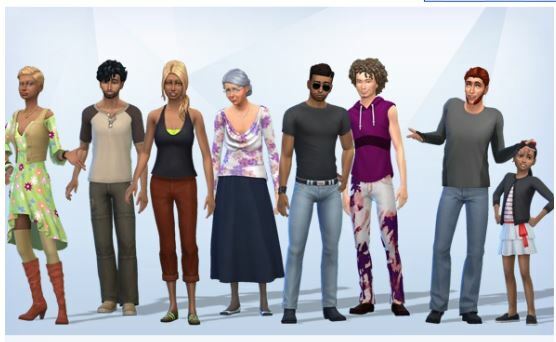 What a lovely and diverse group of Sims. I really like the building layout and how the apartments are customized for each group of tenants. I hope Finnagan does not get too hungry and choose another tenant for a midnight snack. Yeah. I was busy feeding Finnagan somewhere else. I installed him in the business career, since he has a computer and can do the daily tasks. He's not very happy there, but I doubt he would be in any day job . After he got to level 2 he was fired. I guess he was hungry and his hot headed trait didn't help to calm him down. He stands in front the house when he arrives back from work (stupid vampire). I have to give him a task inside so he wouldn't burn. At night I try to send him somewhere else and let him have a good feeding. He received a mirror to up his charisma skill. He is back in the business career - no mercy for the weak, nono! Patricia lives from digging in the ground and crawling through the undergrowth to find treasures. She has no job, but helped a lot in the beginning. She is the happiest of my 8 Sims. She helps with homework and keeping social needs in check. Eleonor always lacks fun. I had to move the radio out of the house as soon as I could afford a roof, because the sisters weren't getting enough sleep. But she finally earned the cardboard dancefloor, now it it much easier to fulfill her fun needs. 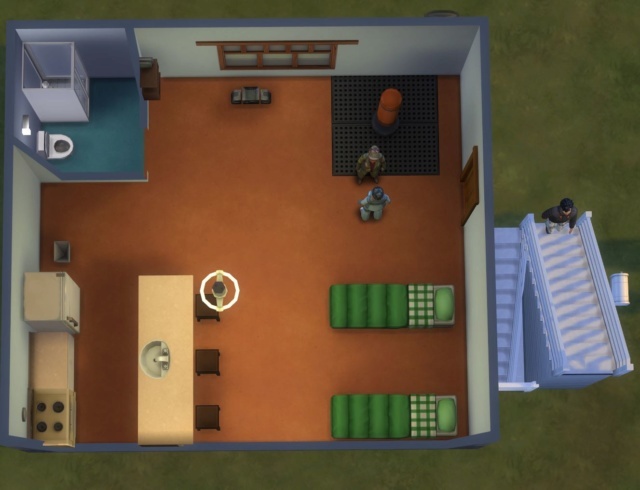 I don't know how the game works or doesn't work, household sims tend to go into random apartments sometimes, they respect the locked doors at others. Same with the claimed beds. 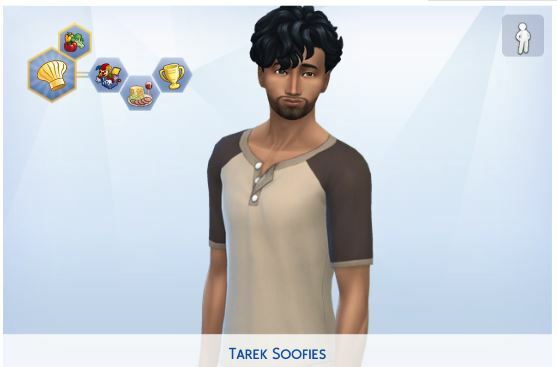 Tarek seems to be the sim who works the most. He cooks most of the food the household eats, he entertains his daughter with chess plays and uses dancing to up his fun level. The household bought him a small bar to learn Mixology. It is situated outside, next to the radio under the roof. Chilly, but has to do for now. 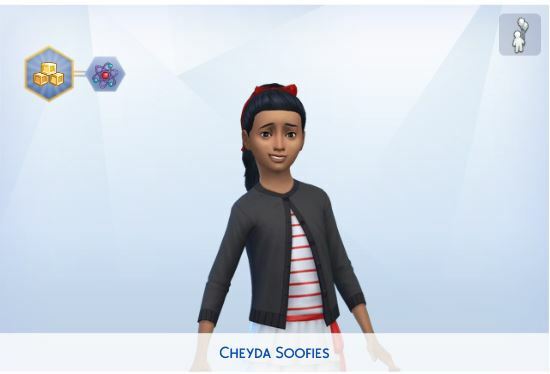 Cheyda is good at school and friendly to all members of the household she enjoys a good chess match and begs everyone to read to her. Cosmo had a real hard time in the beginning. But with the help of Patricia's collecting money he could start some small paintings. He is the most successful in his job, and now paints randomly. All three take turns sleeping in the secluded bedroom. Only at night, when all are sleeping he takes the front bed. 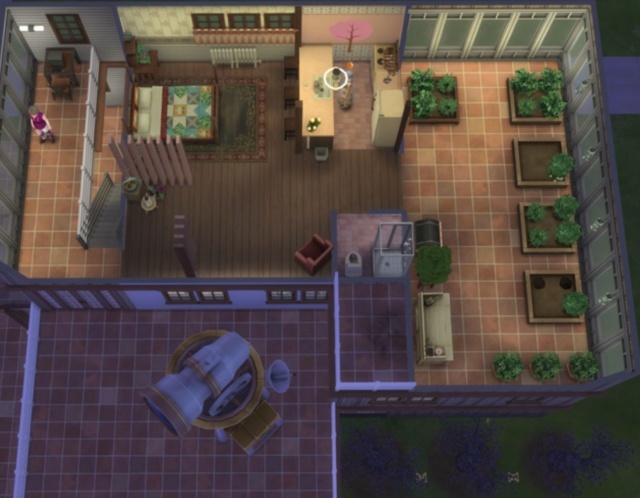 Gardener is an excellent choice for an elder sim. The work is not too long hours and you can always work from home if you want to. Anastasia is very pleased with her choice of tenant and superintendent. Bruce loves his job. He first thought there wasn't much to do, so he roamed through the apartments reading books and using Finn's computer. Come day four things began to be sticky with dirt and even break. He now goes through every apartment after he gets up and cleans and repairs what needs his able hands. 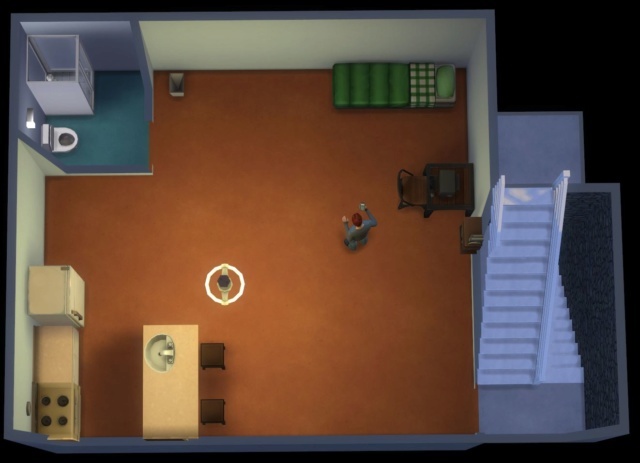 Usually he starts with apartment three, where there are three sims living and most random visits of household members occur. 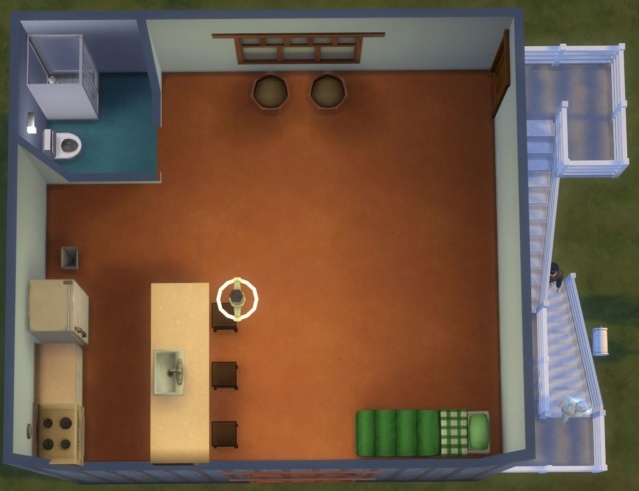 @lionpaws My sims generally stand outside on the sidewalk after work and I have to tell them to go inside. The doors come unlocked all the time. I don't know if going in and out of build mode does it or traveling off lot does it. 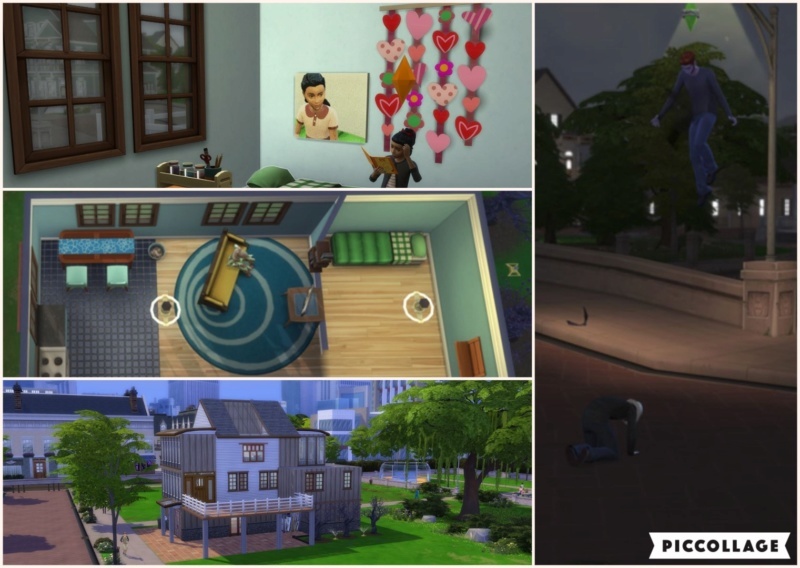 For me, locking the doors and keeping the correct sims in the apartments is important but for other players it may not be. It just depends on how you want to play. Your comments about Finnagan made me laugh. The vampires are so funny. They are funny and a pain too - always hungry and need a lot of attention, who would have thought! 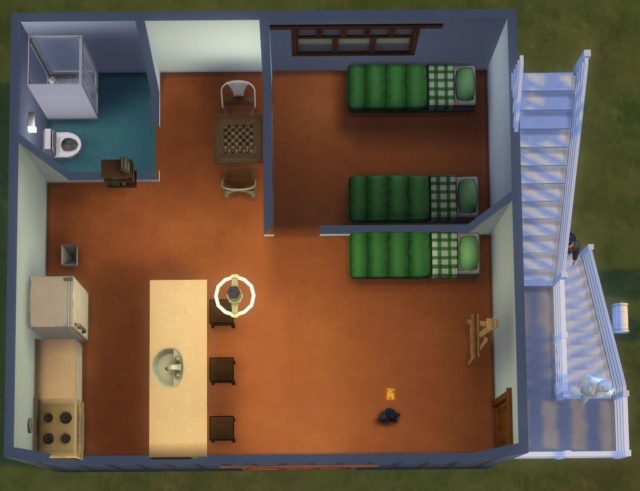 I'd like to lower my bills with the frugal reward, can it be any Sim of the household who gets it or must it be the person who pays the bills? Or even the first in the row at the bottom of the screen? Those vampires are sooooo needy! Hopefully he can stay out of the Sun! Again he got fired after he reached level 2 of his career. All his charisma skills don’t do him any good. I hope I did us all a favor to start him in the Writer career. He’s the one with the computer after all. Apparently I missed that he suckled from our dear Bruce. The poor guy had a hard time to get his duties done. 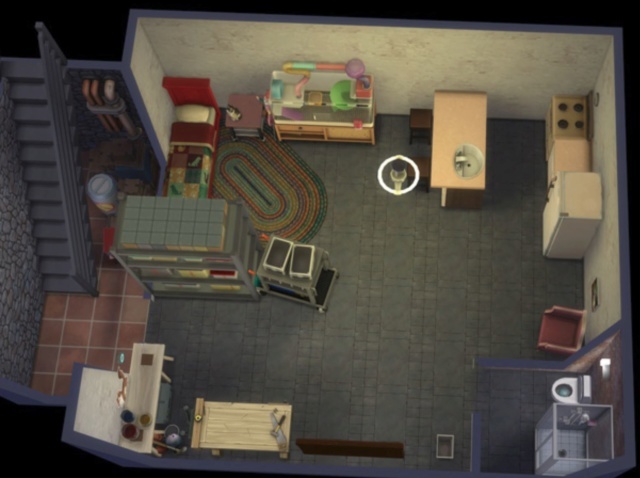 Finn was the first to get an apartment reno from the household funds. I built him a small crypt with a coffin. Now I can hibernate him when I don’t have time to deal with his hunger. He finally can purchase plasma fruit and gave some to Anastasia to plant. Patricia was the neglected one this week. I simply was too busy keeping track of the others and she did fine just by herself. I want to send her traveling more in the future. Eleonor is doing fine. She got good grades and with the dance floor her mood swings are not as bad. She still wants to wear black at times, I have no idea if I have to get her an outfit, or if she should change into it herself, like the bear suit the kids wear in their phase. Apatment 3 saw the biggest change. 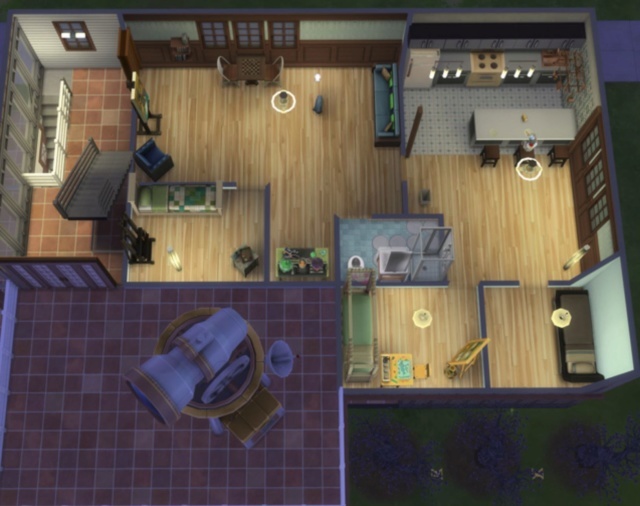 I added a kitchen and two separate bedrooms or Tarek and Cheyda. Cosmo moved into their old bedroom. The main room now sports a small TV and a couch, as well as a comfort chair for Cosmo’s portrait models. Tarek is always tired. He works different hours than the rest of the house and has trouble sleeping while everyone is up and around. He is sick again. That is twice this week. I should probably grant him a vacation day. Cheyda’s school performance is still excellent. She had trouble with her fun need, but since we have the small TV that is taken care of. I noticed that she has zero toys So I got her a creative table, - has to be an educational toy, of course! Cosmo earns all the little goodies for the household, with his paintings, like the TV or the sofa. He’s by far the most productive here. He also paints portraits of the household members for them to keep. Anastasia got a green house and Bruce built her some garden planters for it. She wanted to plant the plasma fruit there, but they require more room, so now they grow outside next to the house. I think I solved the problem I had with the apartment where everyone walked in despite it being locked for some. It was set as front door. I built an entrance hall with a separate front door. He achieved a workbench and he built garden planters for Anastasia, and a mirror for himself. He wants to get better in Charisma, but didn’t have the time yet to do it. He uses Finn’s computer whenever he finds the time. Of course now he knows the true nature of that guy. The crypt he never goes in, he learned not to the hard way. Oh my! 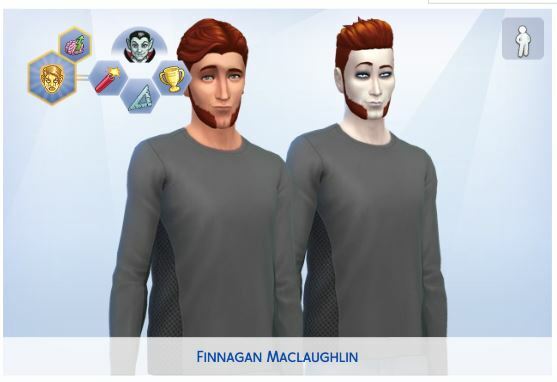 Poor Bruce, Finnagan is a sneaky vampire Did you know you can use fish and frogs to make plasma packs? 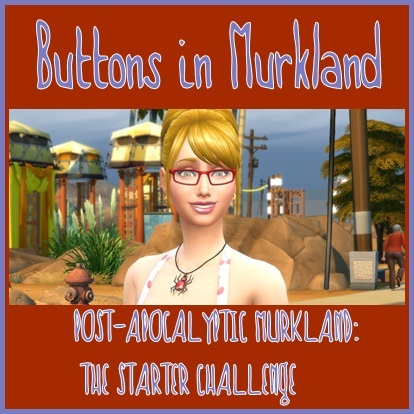 I am not sure the vampire lore level your sim needs but even humans can make the packs if they have the knowledge. 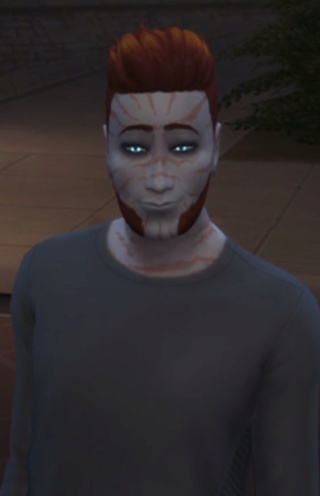 Maybe Bruce could do some lore researching if Finnagan continues to "take a liking" to him It's been a while since I've played a vampire but there is a plasma drink that can be made at a bar with enough skill in mixology and lore also (and other helpful concoctions). 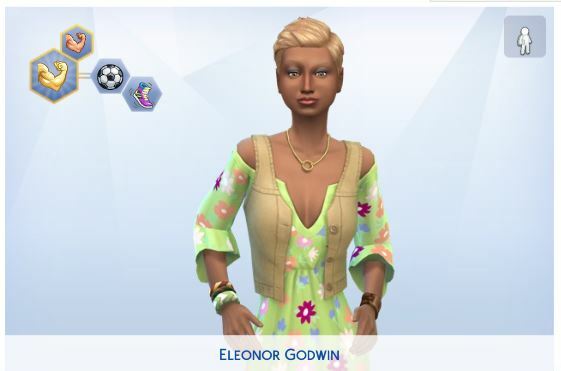 You might be able to tick on Eleonor and see an option to dress in black or something to do with her phase. I am not sure. I am envious of Anastasia's greenhouse and Bruce did a fine job on the planters! Thanks for the info about the plasma packs! I thought they had them in the fridge under Quick Meals. It helps a lot to keep Finn’s anger in check. Eleonor didn’t get into her black phase yet again, but I will try what you suggested when it happens. I used the orange juice for cure. It usually works quit well. Did you know vampires can get sick? Thanks to BG Finnagan remembered how to make his own plasma packs. He collected all the fish from the household members, who by now all know of his nature. Although the plasma packs are not really nurturing. I usually feed him two and his hunger satisfaction goes only up half way. But it takes the edge from his hunger. Now he’s working on his vampiric expertise to by the sun-resistance trait with his earned power point. Writer finally seems to suit his lifestyle, he is doing quite good. 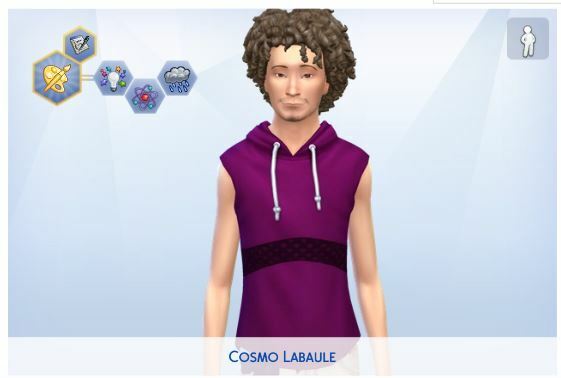 He Is the one with the most aspiration points, so he bought the frugal trait. Sadly I forgot to do this in time and the bills for next week were still high. 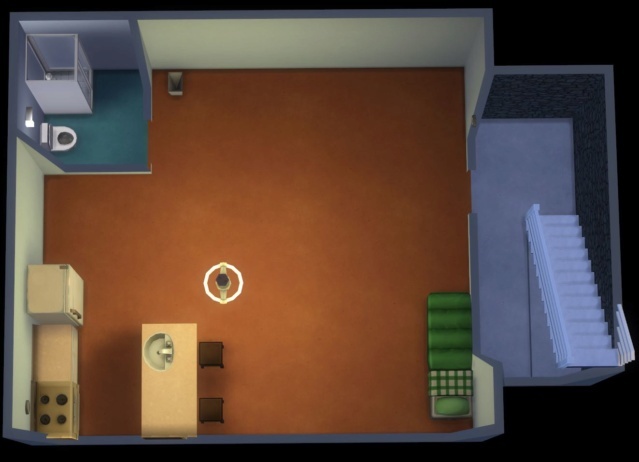 Apartment 2 was shifted to a room attached to the back of the building, the front is now a common room for all to use. The Sisters got a Dining table in contrary to the counter eating spaces and a loveseat + TV. 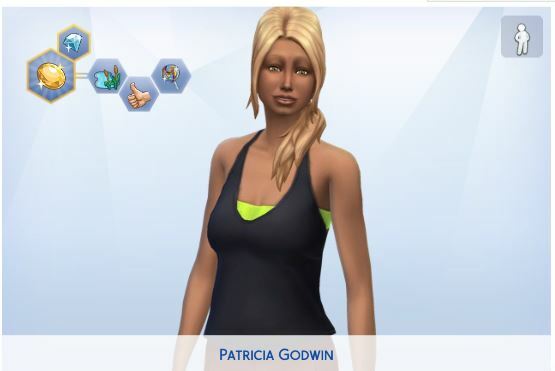 Patricia traveled to Willow Creek this week and she now just needs to complete a collection to max her aspiration. She has yet not decided which collection to go after. Tarek didn’t get his vacation day after all, he just had to live with it. Of course he’s not in a very good mood. He even missed to prepare food for the house. Well the others had a chance to do their own for once. I got him the Stoves and Grills Master reward trait. Cheyda’s had her third school project, her third medieval castle. She got a Junior Wizard Starter Set (LOL, I never knew how that experimenting station for kids was named). She now can make potions. Should have had this before and have her make health potions for all the sick household members. This is not Cosmo’s week. He is always so worn, sad, and in desperate need of fun. He could hardly paint anything the entire week. But he made it through and is much better at the start of week 4. And he got the Creative Visionary reward trait. Anastasia is doing quite nice actually. She plans on growing dragon fruit to make ends meet and earn enough money to move on in the Fabulously Wealthy aspiration. She planted two strawberries and two snapdragons and took splices from the snapdragons grafting them onto the strawberries. Now it’s wait and hope we got some dragon fruit out of this. Bruce is doing his job. He gets up in the middle of the night to repair a toilet if needed. For his aspiration he needs a higher logic skill. The next thing to buy after a table and chairs for everyone, will be a telescope. I wish we had the option for a small one. I have been enjoying reading your updates. ..... and then my phone makes a double post. level 9 allows the these Plasma Fruit Recipes. 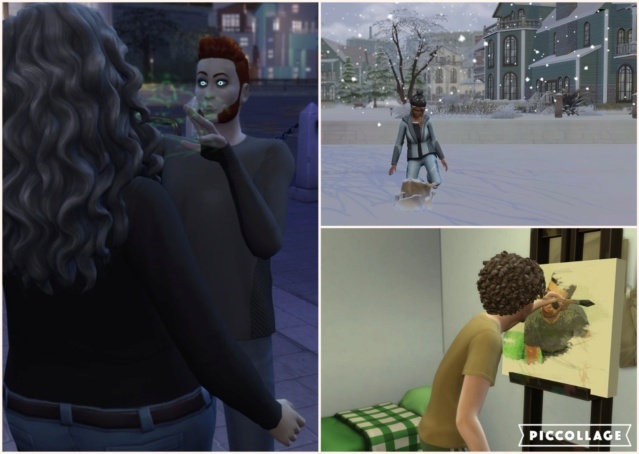 Allows Sims to create a cocktail at the bar that will reduce the harmful effects of Sunlight, allowing Vampires to go out in the daytime. It's great. So great, in fact, that it reverses sunlight's effects to instead produce energy. 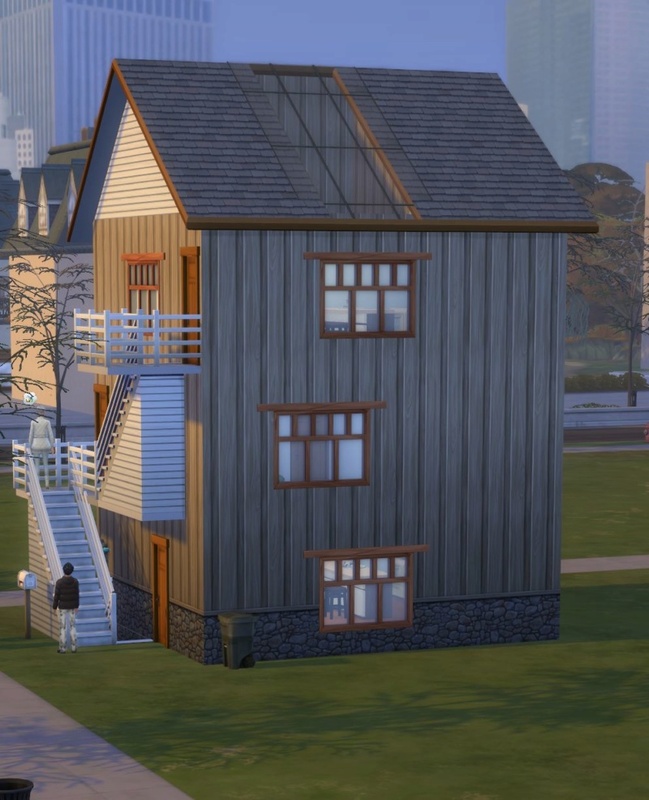 Your Sim will gain vampire energy as they walk about the daylight. This can work wonderfully with the Fresh Chef reward trait from Master Chef, which stops foods and drinks from spoiling. Takes 2 garlic and one plasma fruit to create. If you happen to own Fitness Stuff you can purchase earbuds on the "order" option on the computer and it will go to the sim's inventory you are controlling. 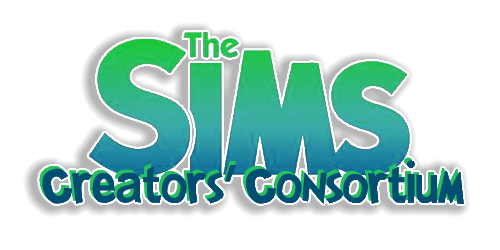 Ticking on the earbuds and turning them on increases a sims fun bar nicely. The "listen to" option is not necessary to increase the fun level. I use them all the time. Splicing can produce a new harvestable, but there's supposed to be a lower chance that it does this. This is by design. For example, grafting a rose to a grape for bonsai buds will have the plant produce roses OR grapes OR bonsai buds, with the bonsai buds having the lowest chance. Great story lionpaws. A fascinating living situation. I enjoyed reading your game progress. Thank you Ladies, this is much fun playing although nothing much happened these last few weeks. 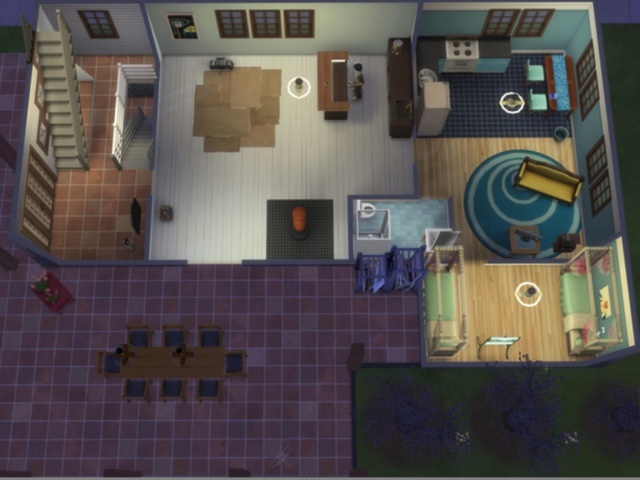 I did a little renovation to all the apartments. Fin got a pipe organ and a new seating area. He is doing quite well in his writer career, earning a few k of royalties each week off his books. He kind of is stuck with his aspiration, I don’t know how to up his experience other than fight with other vampires and he doesn’t have time for this right now. Eleonor seems to be very happy with her job besides school. She’s more content it only took me about two weeks to realize she has job requirements (lol). She’s in the manual laborer career. Tarek is pleased to have a new kitchen. He’s working and cooking when at home. He’s now in the Master Chef branch of his career. He hosted a dinnerparty for the household, which left a lot of cleaning up to do for Bruce. Cheyda’s joined the scouts and has already gotten the silver trophy on her shelf (). Cosmo is the main moneymaker of the lot. He still has to paint portraits of Patricia and Tarek. How do I do a self portrait, do I use a mirror? I have to explore that. Cosmo joined the Master of the Real branch of the painter career. Anastasia got a dragon fruit and has now four plants of them. They are slow to evolve, although she bought a beehive. She now wants to get paradise flowers and orchids to make high quality flower arrangements. She planted chrysanthemum and snapdragons and hopes to evolve them to get better plants when she will graft tulip and lily with them in spring. 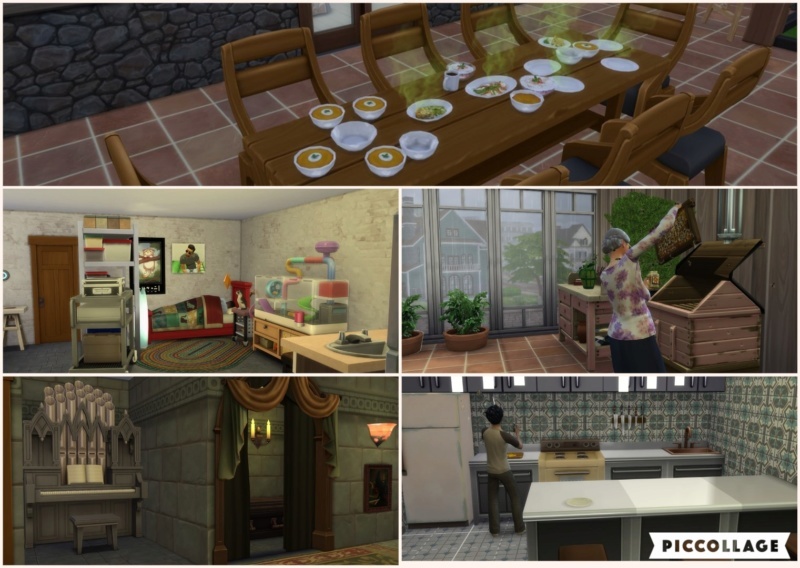 For the mansion baron aspiration I had to invest 5,000 in landscaping, well I don’t have that much land to scape, so I bought 15 palm trees and deleted them later. Bruce is doing his job. Nobody really seems to appreciate that. I got him a little friend, Mücke, the hamster. He has access to a telescope now too, as does the entire household. But now he wants a rocket! 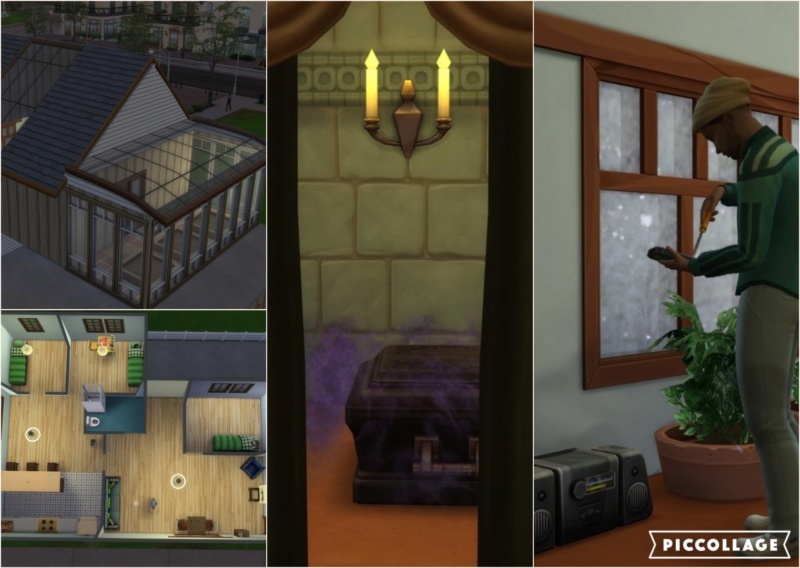 The apartments look great! I especially like Bruce's.